Eleven years after the flat Who Do We Think We Are (1973), Deep Purple's Mark II reunites, and immediately finds a spark. 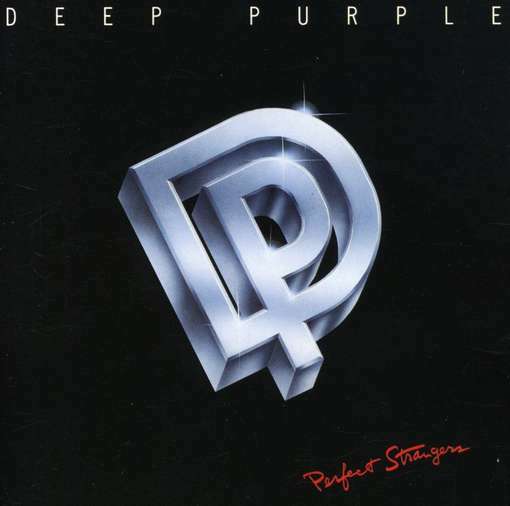 Perfect Strangers is among Deep Purple's best albums, and proof that this line up was in possession of a unique creative magic. There is an overwhelming sense of mature song writing and confident delivery on Perfect Strangers. The compositions vary from the slow and powerful Wasted Sunsets to the perky Hungry Daze, and a rich layer of gleaming polish enhances the experience. The solos from Blackmore and Lord now exist to augment the songs rather than the songs serving the solos, and Ian Gillan's voice takes on a deeper, more controlled tone without losing the remarkable range. Opener Knocking At Your Back Door, despite the dodgy subject matter, sets the tone, from the memorable opening notes to an infectious mid-tempo melody showcasing all five band members. The next three tracks are solid but relatively passive, a prelude to the real heart of the album: Perfect Strangers, A Gypsy's Kiss, Wasted Sunsets, and Hungry Daze are a spectacular foursome, and it is doubtful if the band has ever put together a better purple streak. Title song Perfect Strangers is likely one of Deep Purple's most complete songs, a hypnotic, eastern-tinged lament, certainly echoing Led Zeppelin's Kashmir but without the overblown elements. A Gypsy's Kiss shakes off the sadness and replaces it with an up-tempo beat underpinned by Lord's keyboards at their grandest, with Blackmore taking over at the moment of his choosing with a breathtaking solo, and proceeding to duel Lord to a friendly draw. Wasted Sunsets comes back to the theme of sorrow in the form of an unashamed ballad designed to cause severe depression, with Blackmore at his most lyrical after tuning the guitar to "sad". But all is not lost, as Hungry Daze storms to the rescue with stories of outright and silly fun on the road, driven by the peppiest of riffs that has no objective except to burrow into the brain forever, and succeeds in doing so, as Gillan delivers his strongest vocals on the album. Perfect Strangers is like getting together with old friends, and discovering that the tales of yore just get better with the passing of time. Produced by Roger Glover and Deep Purple. Engineered by Nick Blagona. Mastered by Greg Calbi.